Excited discussions of “false passages” and “queen’s chambers” echoed around the engineering classroom last week as first grade students began to build interiors of their Egyptian pyramids. 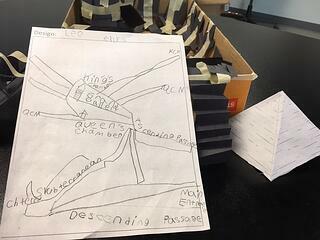 Under the guidance of engineering subject expert Ms. Hagan, students began to create their own interiors after learning for weeks about ancient Egyptian history and the unique structures intricately linked to that civilization. Ms. Hagan had worked closely with the first grade learning environment teachers, particularly Ms. Gifford, and humanities instructor Ms. Lavely to develop the student project. Ms. Hagan shared with students 3D images of pyramid interiors created be scientists who used cosmic-ray detectors and 3D scans with lasers, and these images revealed the complexity of the interiors down to hidden passages (click here for more information). The idea was to expand students' views of pyramids below the surface, so they would have reference points for their own designs of ascending/descending stairways, passages and chambers. Each student first plotted out the interior of their pyramid with a design sheet and worked in reference to it. While the teachers thought this would be challenging for the class, what they found was that students were very careful to reference the design sheets and replicate their plan using paper strips in boxes to construct passages, staircases and walls. 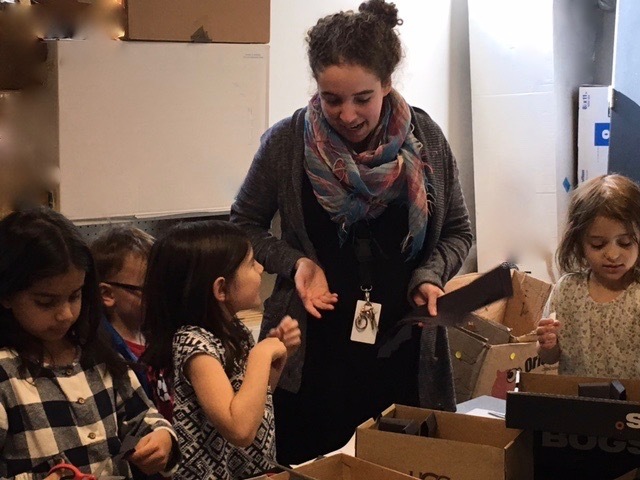 Ms. Gifford, who spent 10 years in civil engineering before transitioning to teaching, trained the students on ways to fold paper to make the passageways in the pyramid interior. The resulting projects are a source of pride for the students and teachers alike. 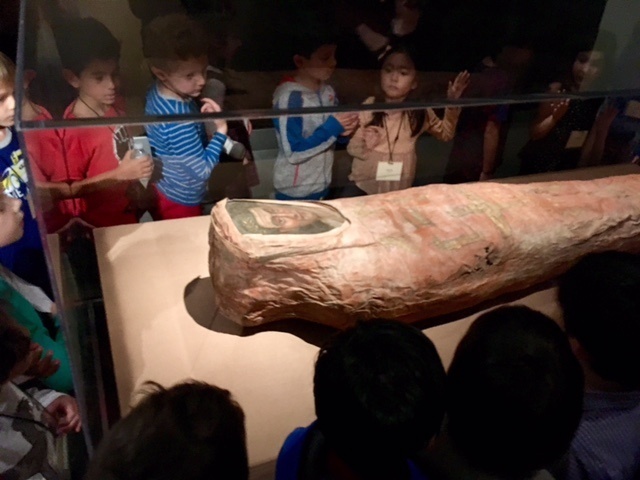 Topping off this section on Egypt was field trip to the Brooklyn Museum for our first graders, who were very eager to see the collection of Egyptian artifacts that now meant so much more to them than the usual museum displays. The hands-on pyramid design lesson helped spur creative problem-solving and spark genuine interest in ancient Egyptian culture. Join us at our upcoming Information Sessions on November 16th or 17th in Brooklyn to see for yourself what all the buzz is about!